Hi guys, I wanted to let let you know we have posted those extra items back to you today. Thank you so much for your help and support, your items are amazing and your service is outstanding. Will recommend you! Below is a photo of me, my husband and our six kids at our wedding on Saturday. I received my ties today! They are so lovely. Thank you for your great customer service Tina. Thanks alot for my parcel i just got back from work and it was on my door. Thank you so much for the beautiful ties im so happy.. I WORE THE BLACK AVEC WHITE SPOTS BOW-tie ON MY EVENING WALK LAST NIGHT (TO MATCH DAISY - SORT OF!!) I BUMPED INTO HERCULE POIROT WHO UTTERED OH LA LA SACREBLEU where did you get that tie… !!!?? ?...etc etc (it was better than his…)… I'll be wearing the music-notes bow-t to the musical presentation of Karl Jenkin's mass for peace("The armed man")at the Cardinal Ceretti chapel ,Manly this Sat. even… thanks for the wonderful service and I'm more than pleased with the items chosen for me… brian b. 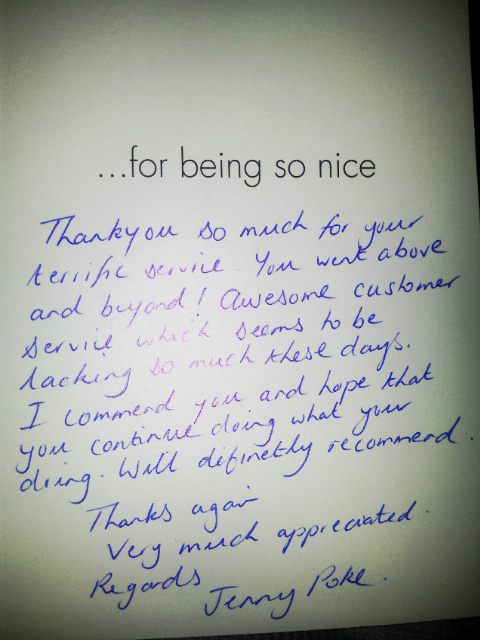 Thank you so much for your fantastic service, where nothing whatsoever was an issue, and prompt delivery. 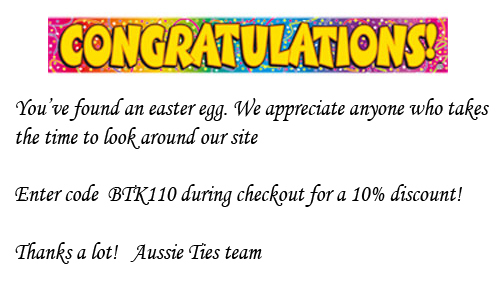 Buying from Aussie Ties has been an absolute pleasure and the product is brilliant. I would highly recommend you to anyone. I have recently ordered 4 men's ties through you guys for our wedding, and I just wanted to say how happy we are with the service & quality of everything we have received. I phoned last week and enquired that one of the ties that I had ordered hadn't arrived, and (I think it was Darren) was great - he organised another one to be sent out asap, and I received the new tie within a few days. Just wanted to say thank you, and well done on how efficient, and easy ordering through your company has been, and I'll definately recommend you to all of my friends! Hello, i just wanted to say a massive thank you for my order! You have saved my bacon big time! And my soon to be husband loves his new waist coat ect. We received our order ultra quick too which is amazing! Ill be recommending you to all my friends! Thanks again!